Videoslots Casino is an online casino founded by Swedish casino enthusiasts in 2011. The aim being to create a unique casino through technical excellence, first-rate support and market-leading gaming innovation. Awarded with the Best Casino and Best Gaming Experience titles in 2015 and 2016, the work has paid off for the relatively newly established online casino. 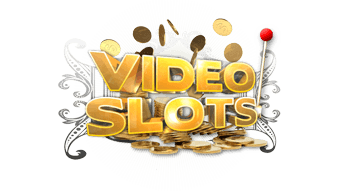 As the name suggests, Videoslots Casino offers a varied selection of bonus video slots. With over 2400 games from 75 different game providers, including Quickspin. This online casino is worth taking a closer look at. Join us for a Videoslots Casino review. Videoslots Casino is an attractive and instant play online casino site. It is no need to say it is the perfect place to be if you´re a slot fanatic. With a huge variety of games, 2400 and still counting, the casino enjoys tremendous popularity by players from all around the world. Despite the name, Videoslots Casino is not all about slots. The casino offers a wide range of slots, traditional table and card games, and video poker machines. They even have Live Casino streaming in HD 24/7. The Videoslots website is available in English, Norwegian, Swedish, Finnish, German and Russian. The site caters for the player´s need for high-quality gaming, and in combination with an appealing website which is easy to navigate, it is no wonder why Videoslots is one of the largest online casinos today. Videoslots Casino primarily focuses on slots, but as mentioned, they also offer a range of other online games. In other words: you can pretty much find what you are looking for. And if you´re a slot fan, Videoslots Casino is your number one destination. The user interface is good, making the gaming experience a thrill. The tremendous game collection is systematically sorted in categories, making it easy to navigate. The most difficult part of being a Videoslots player is to choose which game to play next. One of our favourites are videoslots from Quickspin, and Videoslots Casino offers a great deal of them. So why not try out Dwarfs Gone Wild, Eastern Emeralds, Leprechaun Hills or Volcano Riches? The Quickspin slots are popular and well-liked both by players and operators. This is mainly due to their amazing graphics, the fun themes and the great entertainment value they offer. When you first register at Videoslots you´ll get a welcome bonus of 100 % up to 200 EUR. They also provide you with 11 free spins. The 100% match bonus is immediately activated when you do your first deposit. To claim the bonus, you need to deposit a minimum of £10. Winnings can be withdrawn once the deposit amount is wagered 20 times within a period of seven days. When playing on Videoslots Casino, you can earn XP Point (Experience Points) when you complete different achievements. You´ll earn 1 XP for every €1 you use on playing slots. The exception is progressive jackpot games. Rewards can be anything from extra spins to casino races, deposit bonuses and more. All earned trophies are available under your “account overview”. Loyal players at Videoslots get cash back once a week. The cash back is calculated as a percent of the casino´s profit and split between players based on how much you´ve played. When you´ve finished playing, you´ll notice a pop up in the right corner of your screen telling you how much you have earned. The second part of the Videoslots Loyalty Program is the casino race where €90.000 is shared between 9782 players. Every week, during the race period, you have to select your favourite game and collect the most points. These point are earned on a per spin basis. 20p spins will earn you one point. You can follow your progress on the leaderbord. The winner is paid every Monday, and the winner takes home £500. Videoslots Casino has players from all around the world. Their main currency is EUR, but they also accept GBP, NOK, SEK, USD, AUD, and CAD. The casino offers a number of reliable banking methods for depositing and withdrawing money. The payment options are Visa, Mastercard, Trustly, Skrill, Neteller, Paysafe, Sofort, Flexepin, SIRU, AstroPay, InstaDebit, Eco, Neosurf, Zimpler and Ideal. Videoslots Casino operates with a $30.000 per month payment limit for non-progressive jackpot wins. This limit does not, however, apply if you qualify for the casino´s VIP program. Progressive jackpot wins over $50.000 are not affected by payout limits. The minimum withdrawal amount is €20, $20, and £20. The Videoslots website is fully optimised for mobile devices, including smartphones and tablets. This means that players at Videoslots are able to access their favourite games with any given mobile device. Their simple, instant play interface does not require any software downloads, whether you are playing from your smartphone or computer. The mobile casino opens seamlessly in the browser of any mobile device. Videoslots understands the importance of staying in contact with players and strives to deliver first class customer service with prompt and accurate answers. Generally asked questions are answered in the online FAQ section. Representatives can be reached twenty-four hour of day through live chat, callback or email. The customer support language is English, Swedish and Finnish. Their main office is in Europe´s gaming capital, Malta. If you fancy a visit, or a tour around their office, you are more than welcome, according to their website. Videoslots holds strict licenses in Malta and the UK. The casino commits to protect your privacy, and do not sell, exchange or lend your personal information to others. All personal information is encrypted, so you can rest assure that your personal and financial information is safe with Videoslots.